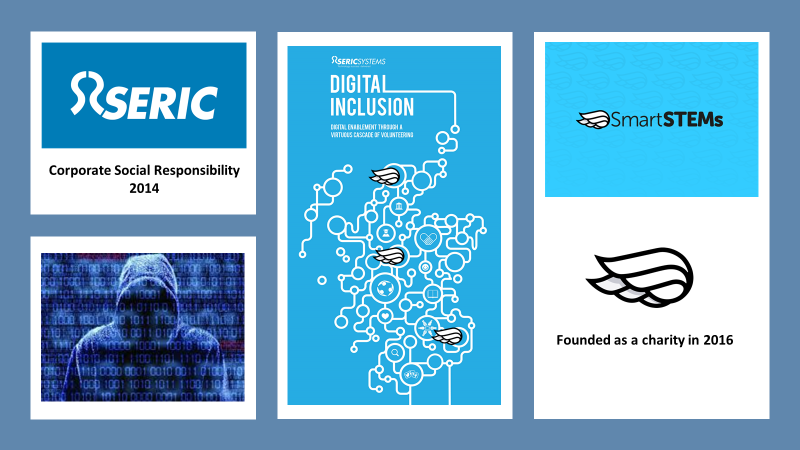 An initiative was created by Seric Systems – A Cyber Security and Infrastructure Company, for their Corporate Social Responsibility (CSR) Programme to give back to their community. They had a “light bulb” moment where they created an initiative which could demonstrate their passion for the Science, Technology, Engineering and Maths industry (STEM) and use this passion to inspire the future thinkers and creators of tomorrow in the form of a fun, interactive and engaging event within a higher/further education establishment. This idea revolved around the chance for all educators, students and industry to be involved in creating that amazing buzz, get something out of the event for themselves and leave a lasting impression on the pupils! Science, Technology, Engineering and Mathematics (STEM) as a range of disciplines, represent the greatest opportunity our country has to develop the social and monetary potential of our economy in the future. This point in recent years has become more apparent with the world starting to stimulate its huge focus on the topic. Seric attracted and connected with a tertiary education establishment who loved their CSR idea and they worked in a partnership with Seric to host an event within their venue to inspire pupils with Seric into STEM subjects whilst having various departments from their establishment getting involved. The event consisted of 500 pupils…a massive success! After many more very successful events, another “light bulb” switched on for Seric – can it be possible to continue to reach out to as many pupils as possible across Scotland and expose as many role models to them as possible whilst connecting the good people of Scotland together?! Well, SmartSTEMs was the answer! Seric’s initiative then became SmartSTEMs which grew organically into a charity in its own right where it was then registered officially in 2016 making it a responsibility to inspire young pupils (aged 10-14) into STEM subjects and the idea that they can be anything they want to be. Our next post will be about how we created “lightbulb” moments for many across Scotland to work with us and give our initiative the possibility to have an impact of 8000 KIDS! Keep Tuned.